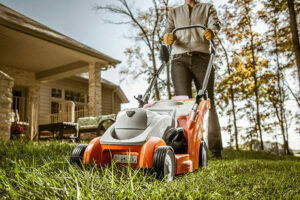 Stihl battery powered machinery are cordless tools that make home gardening simple and environmentally friendly. What makes these tools complete is the addition of accessories. 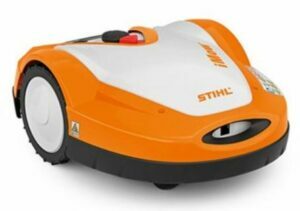 They will make working with Stihl battery powered machinery much easier, more comfortable and ensure a better job. There is a wide range of accessories available all providing different functions. Here is our full range of accessories for battery powered machinery. The Stihl AL 101 charger is for STIHL Lithium-ion batteries. This quick charger has an operating mode indicator and an active battery cooling feature. It will fully charge the AP 100 battery in 90 minutes, AP 200 in 165 minutes and an in 250 minutes the AP 300 battery. The AL 101 weighs 0.7kg and a power output of 0.1kw. The Stihl AL 300 for STIHL Lithium-ion batteries and has an operating mode indicator and an active battery cooling feature. It will fully charge the AP 100 battery in 50 minutes, the AP 200 battery in 55 minutes and in 75 minutes the AP 300 battery. The quick AL 101 charger weighs 1.2kg and a power output of 0.3kw. The Stihl AL 500 is a hi-speed charger for the AP 180 and the AR 900 Lithium-ion batteries. It takes 30 minutes for this charger to the AP 180 battery with 100% charge and 130 minutes for the AR 900 battery to have 100%. For convenient storage, it can be wall mounted. The AL 500 weighs 1.3kg and a power output of 0.6kw. The Stihl AR2000 backpack battery has a high capacity perfect for longer running times. It is a sturdy housing with a base and charge level indicator consisting of six LEDs. The AR 2000 is a comfortable and ergonomic harness equipped with an integrated carry handle and a protection cover for the rain. It weighs 7.8kg, has a charge voltage of 41 volts, a capacity of 21.8ah and a battery energy of 916 Wh. 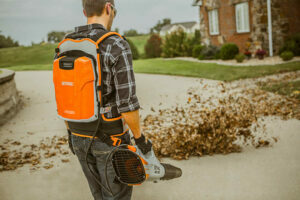 The Stihl AR 3000 backpack battery is the highest capacity lithium-ion backpack battery for longer running times. It has a charge level indicator with six LEDs, so you will always know when to recharge the unit. The AR300 has an integrated carry handle, comfortable harness, lap belt and a central buckle. There is a connection cable with a plug and an AP adapter. It weighs 8.2kg, has a charge voltage of 41 volts, capacity of 29.3ah and 1148 Wh battery energy. The Stihl AP carrying system is a durable belt with a battery bag for carrying STIHL AP batteries and it is ergonomically shaped. The battery will be worn on the battery belt which reduces the amount of weight in your hands when working. From the battery, energy is transferred to the tool through the flexible cable and the AP adapter. The Stihl AP holster inc connecting cable allows energy to be transferred from a STIHL AP battery to the BGA 100 tool. It can be combined with the battery belt carrying system to make work more functional. The Stihl battery bag is mainly used to carry another AP battery easily. It can also carry accessories such as safety glasses, gloves and others. The battery bag attaches to the battery belt easily. The Stihl carry bag for batteries aid the safe transport and storage of up to 2 Stihl Lithium-ion batteries and 1 Stihl charger. This soft bag is a great accessory for making your work less strenuous. 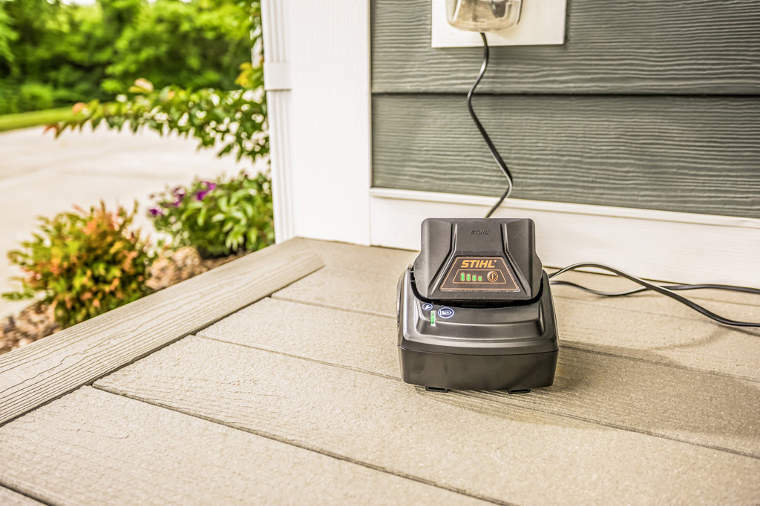 The Stihl support foot protects the battery from hitting the ground. This foot avoids any damage being caused to the battery. It has an additional handle for short-term extending of the shaft for the HLA 85, HTA 85 and HTA 65 tools. The Stihl harness for battery belt is a comfortable harness for working. It is easily attached to the battery belt to make your work easier. The Stihl carry strap makes for a more comfortable operation of the Stihl FSA 65 and Stihl FSA 85. The strap includes the attachment clip. 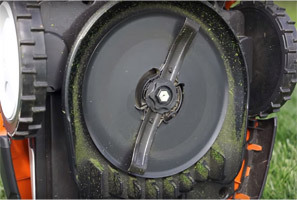 The Stihl catcher plate is perfect for catching and removing cuttings. This accessory has a bar length of 50 cm and can be mounted on both sides for all the HLA, HSE models, HSA 66 and the HSA 86. 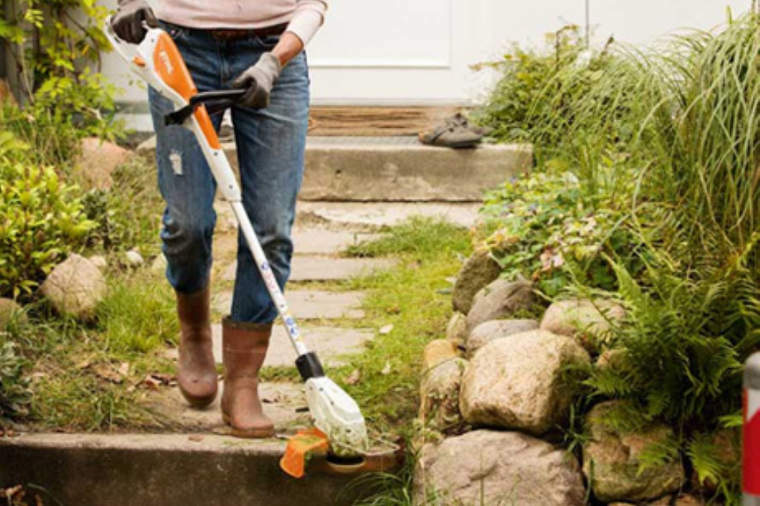 The Stihl support cushion is perfect for helping you with your home gardening work. It has a simple hook for retrofitting the AR 900. This accessory works well in conjunction with the harness, the BGA 85 can be attached during pauses in work. The Stihl battery slot cover is perfect for covering a battery slot on a Stihl cordless machine. This slot cover protects dust and dirt from getting in during storage. To purchase some of our accessories for your cordless tools, visit us online today or call us on 021-4965132. At the heart of all battery powered machinery are their batteries. These keep the battery powered tools in operation to complete whatever home garden tasks need to be done. Stihl PRO batteries are lithium-ion batteries with varying performance classes which give the Stihl cordless machines their power. They have a high energy density, loads of power output, no memory effect, short charging times, long running times and can be used with all battery powered machinery. These long lasting durable batteries can be charged without an appreciable loss of energy. They deliver a great performance even when they are partially discharged. The performance of these batteries remains the same throughout the entire time of operation. Stihl PRO batteries can be taken out and replaced in seconds. These batteries are available with different capacities for different tools. Here is our full range of battery powered machinery PRO batteries. The Stihl AP100 is a lightweight Lithium-Ion PRO battery. It has a charge level indicator including four LEDs. This battery has a power of 36 volts, perfect for the HSA 66 hedge trimmer, KGA 770 sweeper and FSA 65 grass trimmer. It has an energy content of 76Wh, a weight of 0.8 kg and a charge voltage of 42 volts. The AP 100 a different battery life on different products. The Stihl AP 200 is a 4.0 ah capacity Lithium-Ion battery. It offers excellent run times on Stihl cordless tools. The AP 200 has an integrated LED charge indicator which displays clearly when the battery needs charging. It is compatible with the AL 100, AL 300 as well as the AL 500 charger unit. The battery weighs 1.3kg, has an energy content of 151Wh and a charge voltage of 42 volts. The AP 200 has a different battery life on different products. The Stihl AP300 is a powerful 6.0 ah capacity Lithium-Ion battery. This is the most powerful handheld battery Stihl offers. It gives increased run times for bigger jobs in home gardens. There is an integrated LED charge indicator in this battery which indicates when the battery needs to be charged. It is compatible with the AL 100, AL 300 and AL 500 charger unit. The battery weighs 1.7kg, has an energy content 227Wh and a charge voltage of 42 volts. The AP 200 has a different battery life on different products. To learn more about our Pro batteries visit us online today or call us on 021-496-5132. Cordless garden tools make moving around your home garden simple and hassle-free. When there are no cables to restrict your movement, you can get into all those hard to reach spots. You can cover more distance without the hassle of a cord when gardening. The Stihl cordless power tools range gives you convenience without compromising on performance. The cordless tools in this range are extremely quiet which means you can garden for as long as you want without disturbing anyone. These tools are also emission-free, making for a better garden environment. Here is the full Stihl cordless range. The Stihl HSA 45 cordless hedge trimmer is a very lightweight tool with a great cutting performance. It is ideal for cutting branches in the outdoors of your garden. This hedge trimmer has a single-sided cutting blade with a tooth spacing of 24mm, screw-on tip protector, integrated cut protection and an integrated battery with a charge level indicator. It weighs 2.3 kg, has a battery charging time of 145 min/210 min (80%/100%), cutting length of 50cm and a total length of 91cm. The Stihl FSA 45 cordless strimmer is a compact and high-performance tool perfect for trimming and clearing tasks that need to be done in your garden. 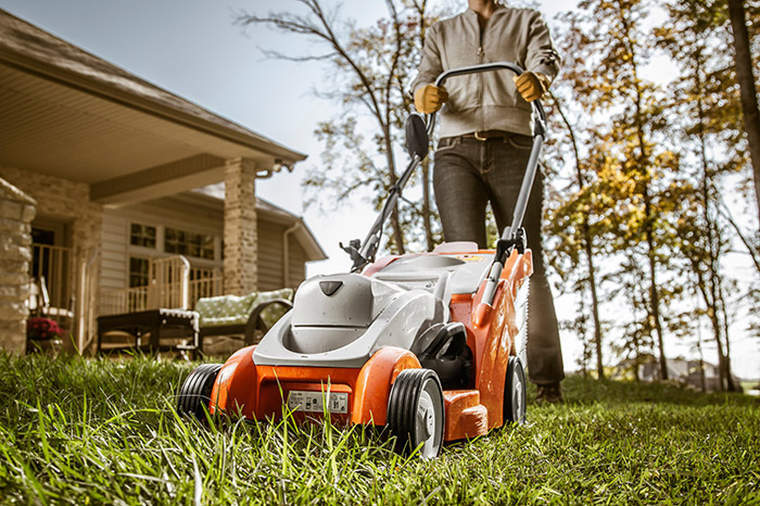 It has an integrated battery that has a charge level indicator and an adjustable mowing unit working angle which is very useful for trimming vertical edges as well as many other tasks. The FSA 45 has a shaft and loop handle which offers tool-free adjustment, is simple to change between mowing lines and PolyCut blades without switching its mowing head, spacer bracket. It has a total length of 110cm and a cutting diameter of 230mm. The Stihl BGA 45 cordless blower is an easy to manoeuvre tool which is great for cleaning outdoor areas in your garden. It has a round nozzle, a wall holder with a charging function perfect for practical storage and an integrated battery with a charge level indicator. The BGA 45 uses Lithium-Ion battery technology, it weighs 2kg and has a max airspeed of 44 m/s. To learn more about our battery powered machinery call us today on 021-496-5132 or visit us online to order some of our cordless tools to keep your garden in great shape.